Modern Masters drops today! It’s so awesome! Value all over the place, depending on the amount opened. We will be keeping an eye on the prices, but drops of 30-50% should be expected. 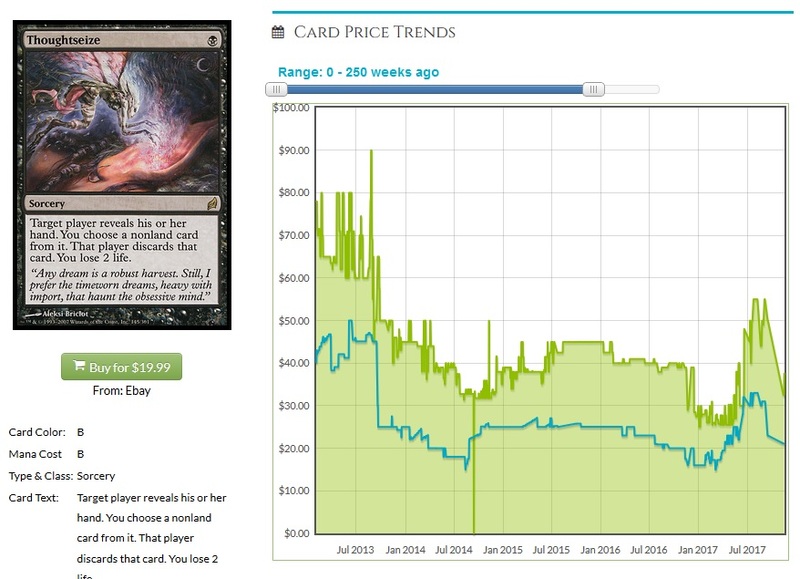 A lot of cards have fallen that far already, and as time passes we will have to keep an eye on the value of MM3 cards. Today, though, I want to focus on Kaladesh and Aether Revolt cards that are good targets for increasing in value later on. Some stores are going to keep opening those in drafts and events, but all the hype is on Modern Masters, and we are about a month away from Amonkhet prerelease events. 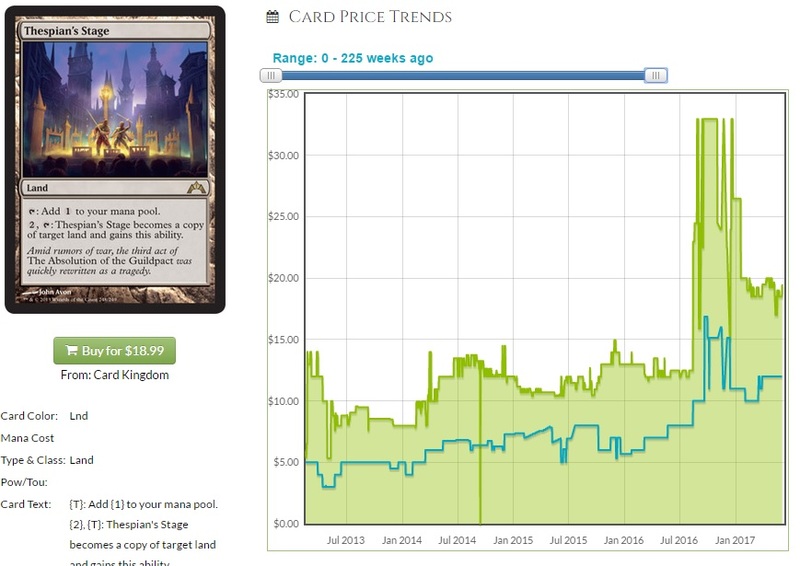 Prices for the Kaladesh block are at their lowest right now. Supply has been maximized, and those who need cards have gotten them. We are now at the point where if a card gets popular in Standard, it’ll spike, because they aren’t getting opened anymore. This is also when I want to get cards that I think are good long-term investments, due to casual appeal or playability in Eternal formats. Lifecrafter’s Bestiary – $1.20/$4 foil – This is one of the easiest picks around. Have you played with this card? It’s amazing in any format where you can resolve it without dying, and you play creatures. Commander loves this card, and a scry 1 might help this be good enough in Standard. Creature decks run out of gas, and drawing a card per creature cast is rather phenomenal. I’m advocating this due to the casual appeal, but I am not ruling out that this spikes anytime before the big set of Fall 2018. My low end of this is $3-$4 in two years, but Standard could push that issue sooner. 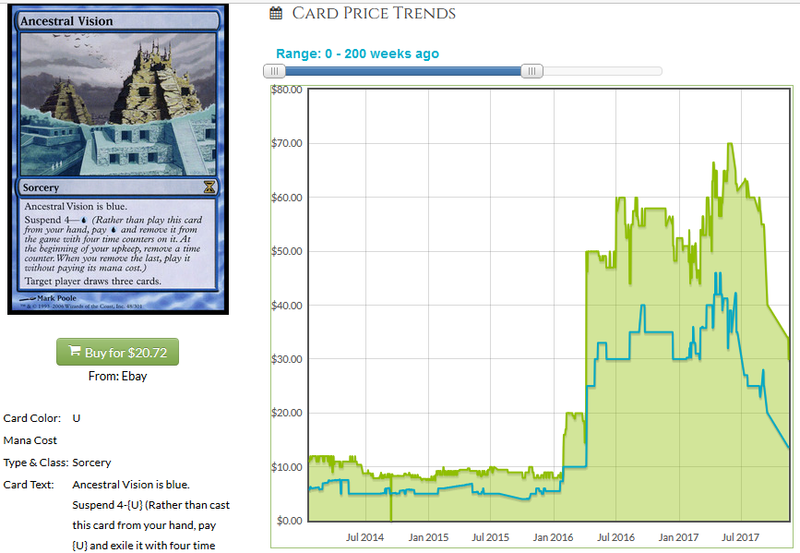 Foils are awfully appealing at a mere $4. They started out at $10 on release, and it’s a card that you have to come up with a good reason against if you’re a green Commander player. I want all of these at $4. Just all of them. They are going to be leeched out of the market as time passes, so be ready when they slowly climb back to $10 or more. Whir of Invention – $1/$5 – This is a card looking to be broken. Brewers are trying hard with this and Inspiring Statuary, but I feel the Whir will get broken first. It’s also a card you can put into a deck that’s almost all artifacts, where the Statuary needs both lots of artifacts AND big spells that aren’t artifacts. 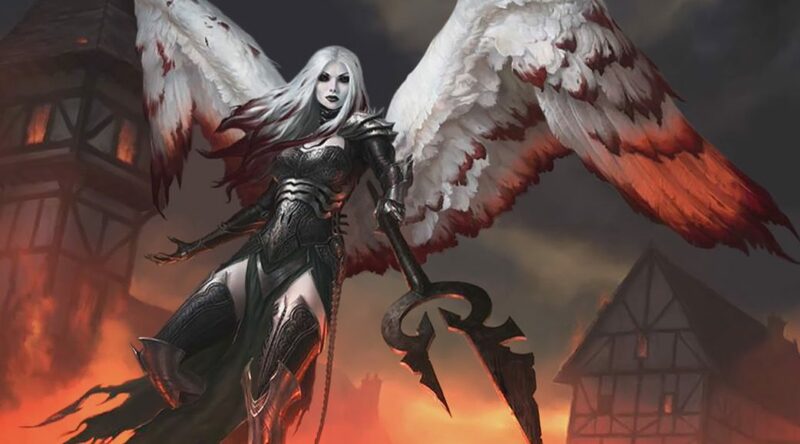 Whir is also much better in casual formats, being something that I can easily see every Commander deck playing to go find that Darksteel Forge or whatever you need. I love getting in on a dollar card with upside we haven’t found yet. It’s quite possible that either of the blocks coming have artifacts worth tutoring for. I think this will find a home in some decks in Modern at some point, and doubling will be conservative. The foils are also super appealing. It’s very easy to add this card to a deck with a few choice artifacts in Commander, so seeing the foil go up to $10-$15 within a couple years is a very believable idea. Release the Gremlins – $0.75 – I’m surprised that this isn’t seeing more play in sideboards, but it’s such a cheap card and we are so lacking in artifact removal in Standard that I want to have some of these around just for the scalable potential. It’s not going to blow up Modern or Legacy, not when Shatterstorm is legal, but this might have Commander appeal too. This is more likely to be a Standard spike, and otherwise might need a very long timeline to pay off in casual circles. Planar Bridge – $2.50/$11.50/$43 for the Invention – For an in-print mythic, this is surprisingly low. There is the Invention version that soaks up some of the demand from Commander players that have to have it, but it’s still a card that the format desires. I want to have some of these around, and frankly most of my Commander decks should be playing it, but my hesitance is all due to the reprint risk. This is super reprintable, and as long as the value stays low, it can be added to a preconstructed Commander deck pretty easily. I think this risk is present in all of my picks today, but the fact that this is totally colorless gives an extra layer of risk. Personally, I’m in favor of you getting the Invention right now if you want it, and have some foils for speculation. I think that the casual demand will have this foil up to $20 by the end of the year. I’m not expecting Tron decks to blow this up, it would be a one-of at best and that wouldn’t bump things hugely.